Uppercase Box arrived for the month of January and as usual, I’m thrilled to be a part of this subscription! 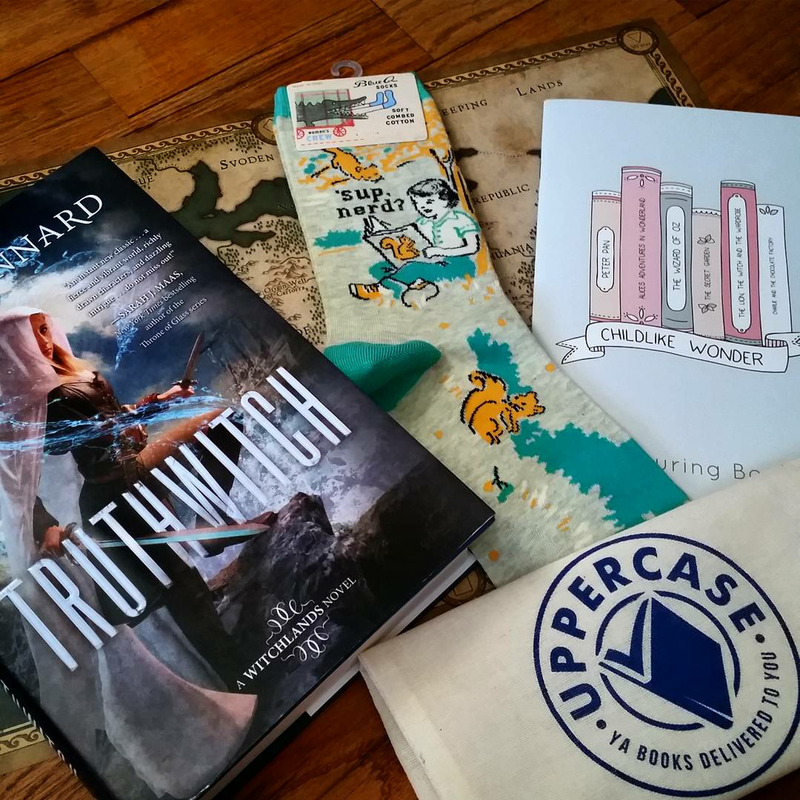 The book this month was none other than the HIGHLY anticipated Truthwitch by Susan Dennard. The cover to this book is absolutely gorgeous and I’m so excited to get into it! Not only is the book gorgeous, but it is also SIGNED this month! One of my favorite things about Uppercase is that they always include either a signed copy of the book or a signed bookplate. They also included some exclusive book swag, which happened to be an amazing, in color, map poster of The Witchlands. The book has a smaller, black and white version on the first page but this one is amazing and would look awesome framed. A bookworm can never have too many socks and I am so excited for this Nerdy pair by Blue Q Socks! They’re super soft and I’ve rocked them multiple times already. And finally, with the trend of adult coloring books going around, I was so beyond excited to have this Uppercase Box EXCLUSIVE coloring book by Emma Margaret Illustrations. It features images from six wonderful books that most adults knew and loved as children. I am so beyond thrilled with this month’s box and I can only dream of what February will bring! If you’re interested in receiving a future Uppercase Box, be sure to check out their website and find out how! Oooh, looks like a great Uppercase box! I recently acquired Truthwitch and I’m really excited to read it; hope you enjoy too!